This upcoming weekend is Memorial Day Weekend. While Memorial Day is a day to remember and honor those who lost their lives while serving our country in the United States Armed Forces, many take this longer weekend as an opportunity to travel. The cheery weather forecast may motivate travelers to visit our local beaches this weekend, causing increased traffic and crowded roads. As part of the Governor’s Highway Safety Program “Click It or Ticket” which launched on Monday, May 20, 2013, law enforcement officers across the state will increase patrols over the holiday weekend and will cite patrons not wearing seat belts. The Wilmington area’s law enforcement unfolded the campaign last Wednesday by setting up checkpoints on Randall Parkway, New Centre Drive, Eastwood Road near the Wrightsville Beach drawbridge, and Airlie Road and issued close to one hundred citations for traffic infractions and other crimes including seat belt violations, texting while driving, speeding, driving with no operators license, and simple possession of marijuana. We urge you to obey the law and stay safe. However, if you or someone you know receive a traffic ticket or get charged with a crime in or around Wilmington, NC in New Hanover County, Brunswick County (Bolivia, NC), or Pender County (Burgaw, NC) call Collins Law Firm at: 910-793-9000 910-793-9000 for a confidential consultation. Southeastern North Carolina is an attractive area for young people to attend school either at UNCW or Cape Fear Community College. Of course, the same young people also enjoy to live, work, play, and party for which our beaches and downtown areas provide a wide array of opportunities. However, much of the nightlife requires patrons to be 21 years of age. For this reason, many youngsters either purchase fake IDs online or look to friends who are of age to use their IDs. They do not realize that getting caught with a fake ID has serious consequences. 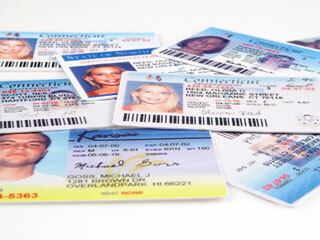 The possession of a false identification or a fake ID alone warrants prosecution. Nonetheless, the original owner of the ID faces criminal liability as well. If convicted of an offense involving a fake ID, N.C.G.S.§ 20-16(a)(6) provides that, one faces a mandatory suspension of their license by the Division of Motor Vehicles. In such reinstatement of one license or the issuance of a limited driving privilege or hardship license before the end of the mandatory suspension period is prohibited. Attorney David Collins has almost 20 years of experience and represented countless minors, college students or others charged with a crimes involving fake IDs successfully. If you or someone you know has been charged with a crime involving a fake ID, call (910) 793-9000 (910) 793-9000 for a confidential consultation.